Discussion in 'The Lightweights' started by Melas Chasma, May 16, 2014. If Gus mauls Jones two more times how do you guys think that would affect Jones mentally? He has all the money and the LHW title records already, would he lose his motivation and decide to turn a new leaf in his life outside MMA? I know he is still young but if he gets badly beaten two more times by Gustafsson I personally think that would be enough for him. I think Gus is probably about 60% favourite in the rematch and if Gus wins he will probably be something like 70% favourite in the rubber match. So the possibility of this hole scenario is about 42% in my book. Gus as the favorite? Not bloody likely. That said, in this purely hypothetical situation, there is probably a 51.6667% chance of Jones retiring. Glad to see you're getting all this fantasizing out of the way before Jones beats Gus again. It is indeed a hole scenario, OP. LMAO, "..mauls Jones again...". Gus lost kiddo, get over it. He'll lose again too. Why would Jon retire again? Because somehow he'd lose motivation? This is a pretty stupid hypothetical pile of turds. None of it's happening. Sherdog seems to be filled with non-achievers. People who do well in life don't give up at the first hurdle they face. Why would you assume Jones would retire if beaten twice (having won once), but Gustafsson wouldn't if he is beaten once more? Whats the chance Gus wins two times on a row in your opinion? This is so hypothetical and unrealistic it hurts. Jones won the first fight and Gus has yet to win convincingly one fight against Jones. Not only is Jones young, but he always has the option of moving up to heavyweight if this unrealistic scenario actually plays out. 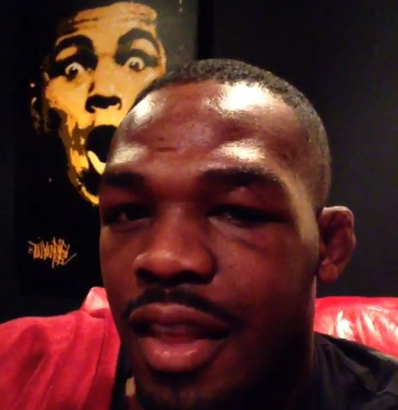 That said, Jones is going to finish Gus in this second fight. If that fight was not a title fight, the decision would have went to Gus. And the judges would have been fired incompetence. Why wouldnt he? Would he move up to HW? Jones haters are pathetic attention whores. Wow. I dont think you undestand what that would mean. Its kind of like youre saying Jones vs Gus is one of the biggest missmatch match ups in UFC history. lol look at the threads TS has started. Exactly. He seems to really detest Anderson Silva and Jon Jones and fantasizes about Gus and Weidman.